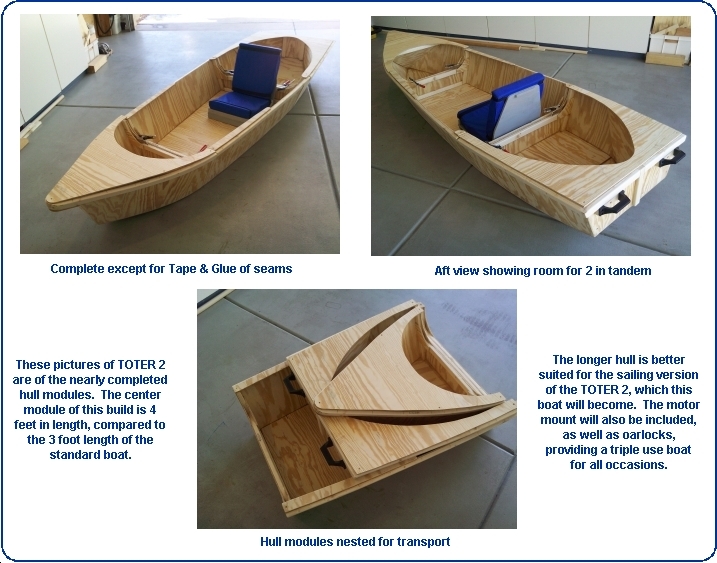 NOTE: TOTER has been redesignd to incorporate the Tape & Glue Process of assembly. 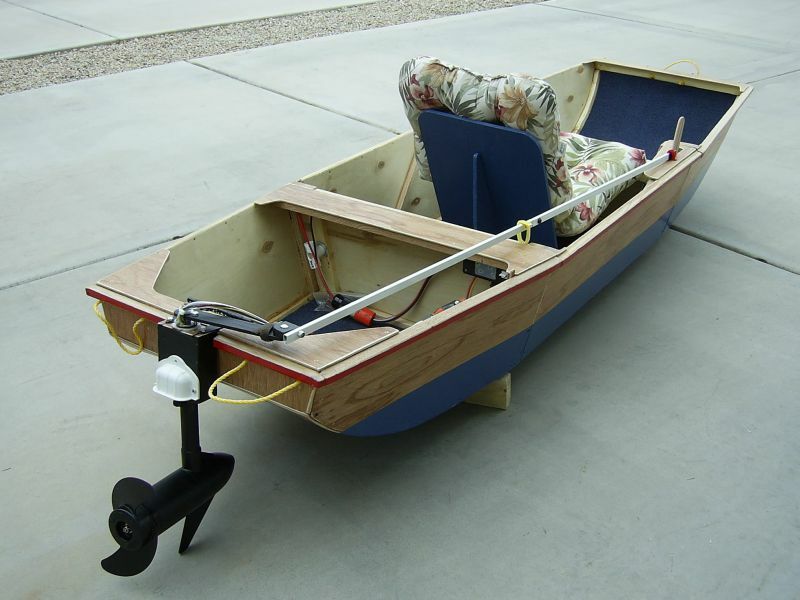 It will be a little larger, have safety buoyancy built-in, include 2 occupants, and will use a non-modified trolling motor. 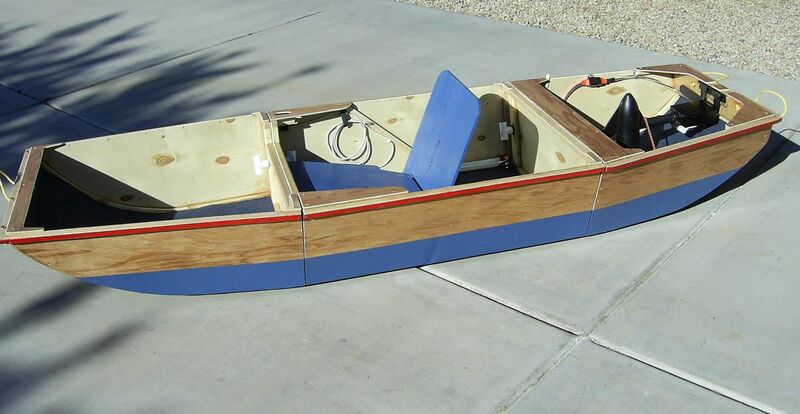 It will also include a sailing version, with those plans to follow the sea trial process. 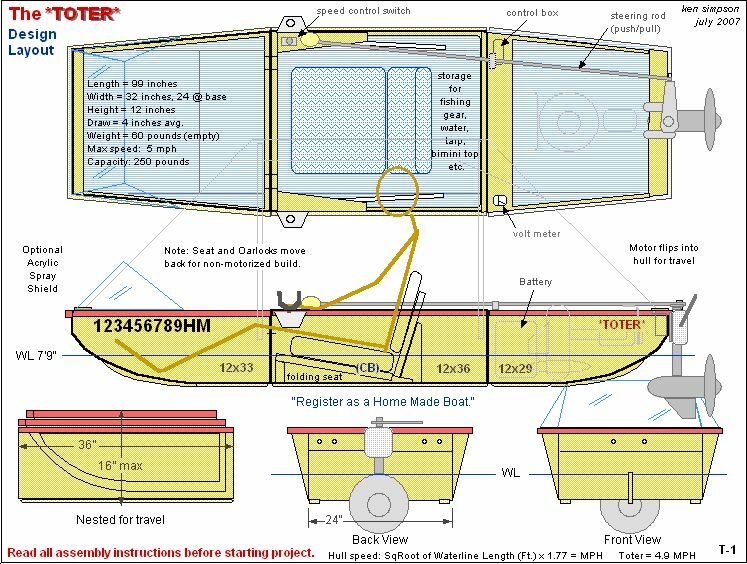 Below is the original TOTER information and pictures. Use them as a guide for the new design. 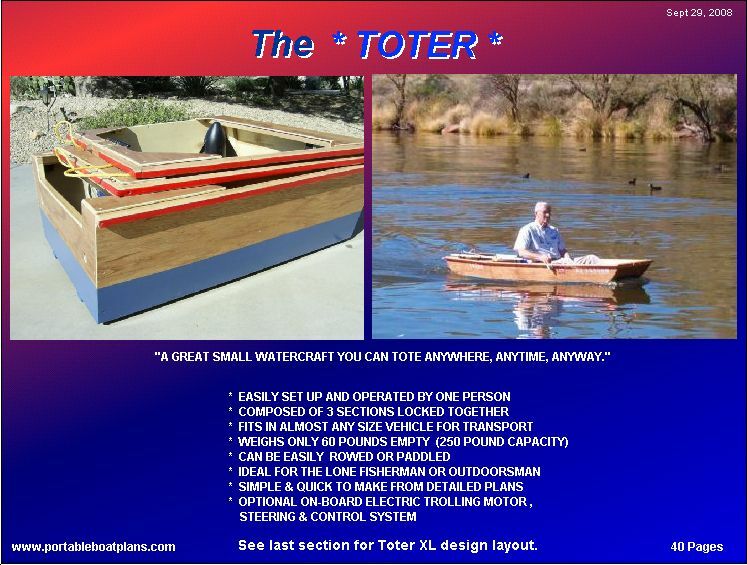 Join the Toter Builders Forum on Yahoo for the latest Toter build and technical information. TOTER Nested for Travel. Fits in the Trunk of Most Cars ! 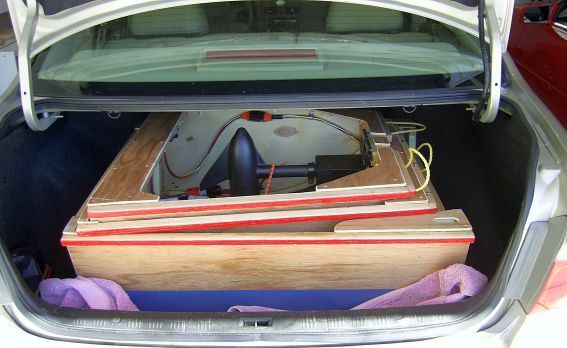 TOTER in Trunk, Ready for Trip Home. wait for the file to load, then Save or Print. 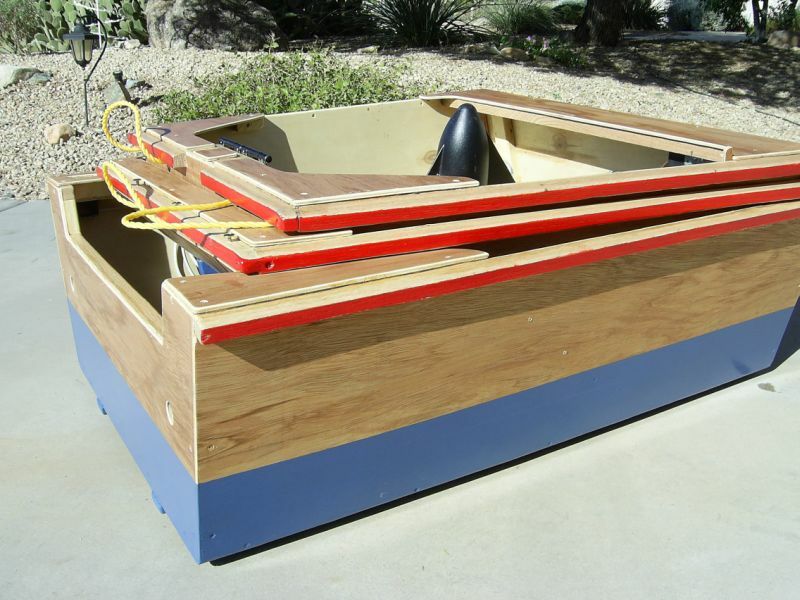 TOTER DUCKBOAT, expressly designed for duck hunting with your dog ! 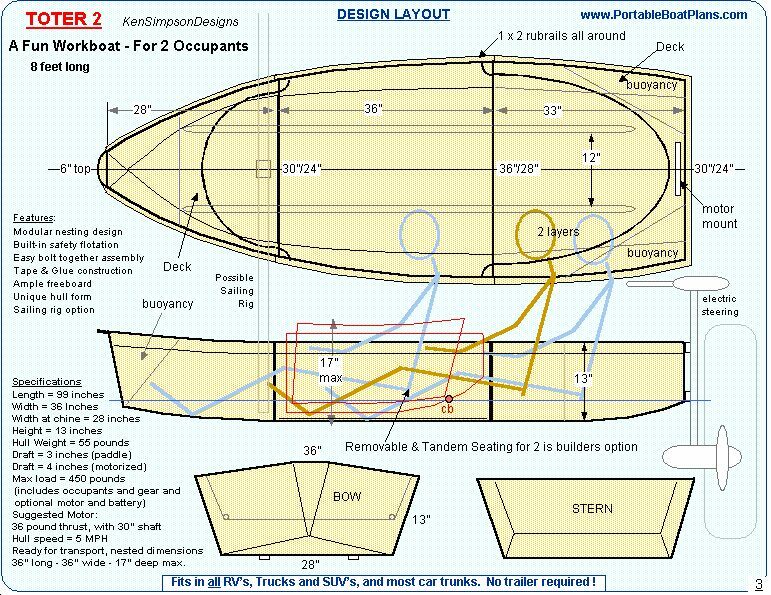 Return to the Menu for other Portable Boat Plans, or for Ordering Information.